For many years, beginning in spring 2005, Thomas was active in the virtual Harry Potter fan community: He started helping out on the renowned fansite 'Emma Watson Empire' and advanced, from a normal site visitor, to the site's representative just within a few months. Two years later, he founded the Knight Bus, world's most likely biggest Harry Potter link directory. And finally, he started the organisation 'The International Network Of Harry Potter Websites': His attempt to get the worldwide fandom to collaborate and to keep it in one piece after the release of the final Harry Potter movie. In this book, he talks about his activities and inducements, as well as the influence which the Harry Potter story had on his life. Further he wants to exemplify that being a fan is no bad thing at all, but a real gift actually. 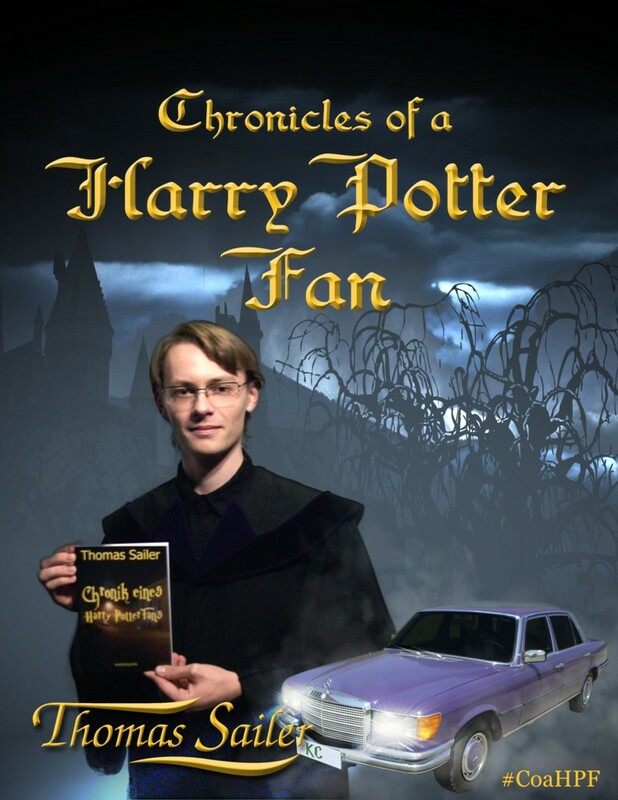 In autumn 2009, when his activity in the virtual Harry Potter fandom seemed to be most widely over, Thomas felt the urge to write down all his experiences, which he made during his time as a dedicated fan; thoroughly with the idea to get it published. He wrote eagerly, until the likely most work intensive period of his whole college days - for the moment - did not let him enough room for it. Basically, he planned to go on writing the chronicles in the beginning of the next year, but things came different: He found a manuscript which he had begun writing years earlier and decided to accomplish it; completing his first novel kept him busy until December 2011. After his debut novel was released, during the last few days of 2011, he got new incentive to complete the chronicles; so he did this parallel to writing his second novel. In early 2013, the book was translated to English and released in April of the same year. Originally released as paperback and e-book, the book got reworked completely and translated a second time in 2016. Until the end of 2018, 'Chronicles of a Harry Potter Fan' was available for download on a specially installed download page. Currently it is available upon request only.